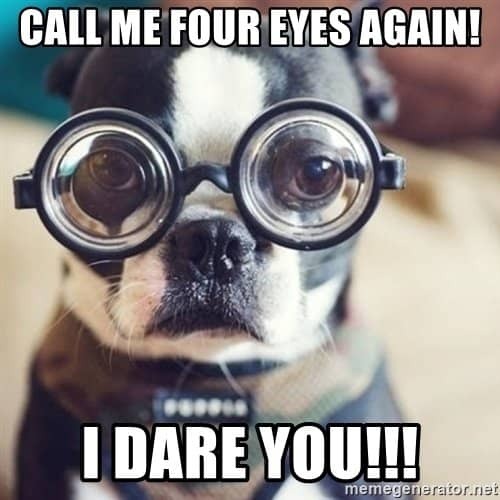 Some people think that they are incredibly funny calling you four eyes, really, the joke is a little old. Yeah, you wear glasses, it’s not really that big a deal, better than walking around not being able to see anything. 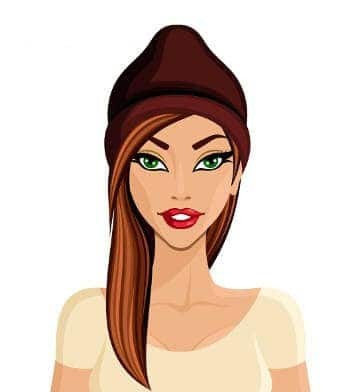 Of all the things to have that you don’t like about your appearance, wearing glasses is definitely the best because you can always wear contact lenses or get laser treatment down the line. 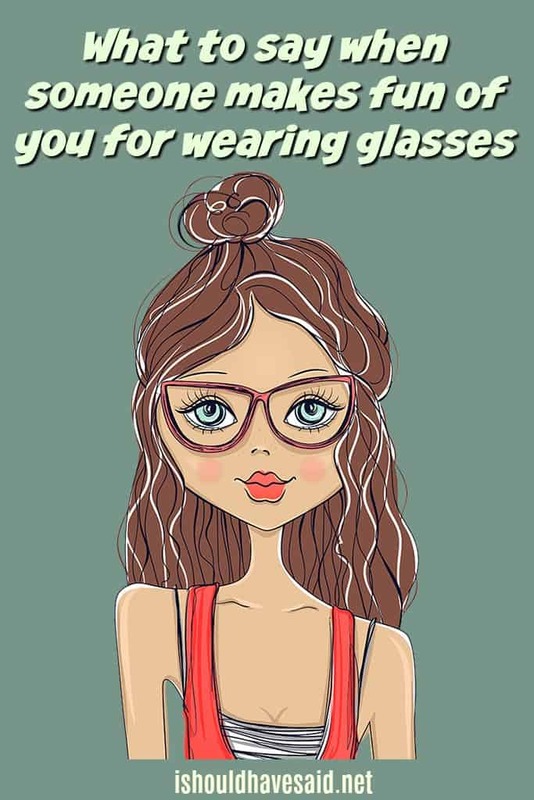 Of course, there are the stereotypes that go with wearing glasses that you must be a nerd or that you’re super smart (which is probably true). If you get tired of the annoying four eyes comments, use one of our clever comebacks below. At least my problem is fixable... unlike yours, which isn't. Yes, with my four eyes I can see a lot better how ugly you are and with my two ears, I can hear that you have nothing useful to say. Well, four eyes are better than two eyes. Got any comments, questions or tips for dealing for dealing with someone who calls you four eyes? Share them in the comments below. Who said i’m Four eyes? And anyways I look better with 4 eyes than 2.